This morning, I had an appointment with my high risk doctor for another sonogram. 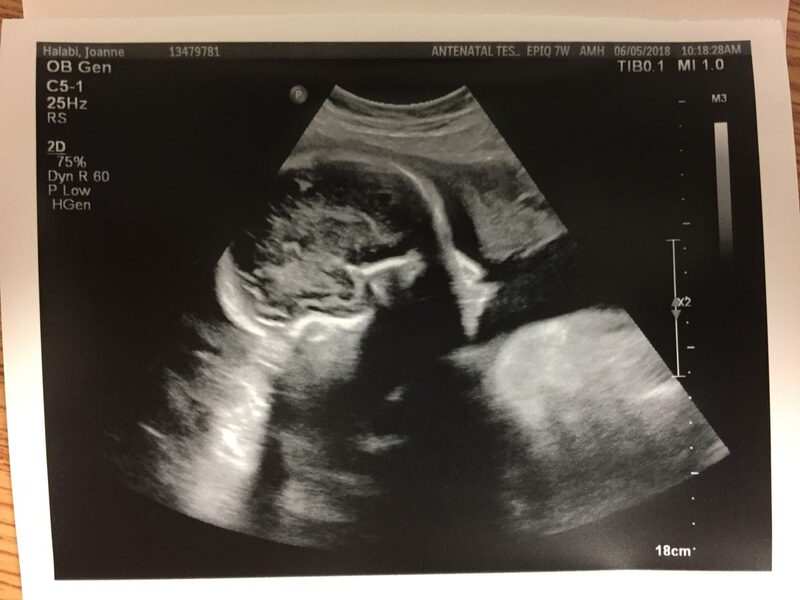 It had been a while since my last sonogram, because all was well way back in February when they last peeked in on the kiddo. I walked into my appointment, checked in, and then sat down in the waiting room. Waiting rooms are great times to catch up on my email, Slack messages, texts, Facebook messages, etc. I was doing just that when I received a new email… from my high risk doctor. Well, that’s weird. I’m sitting right here. I mean, I have emailed people from across the room before, but that is usually a thing I do with fellow geeks and my doctor doesn’t seem to be that kind of geek. I open the email and discover that they had scheduled a second appointment for me. For the same day. Two hours after the appointment that I was sitting in the waiting room for. I came to find out that my doctor had somehow just realized that I am a 40 year old woman and, as such, I now need to also take something called a “non-stress test”. Like, right now. Because, you know, they had no idea I was 39 the last time I was there and my date of birth isn’t in my chart or anything. WTF is a “non”-stress test? A non-stress test is absolutely nothing like that. For starters, mommy has very little to do with it. You sit in a chair with some probes on your belly and the kiddo does all the rest. The test measures her heart rate and activity level over the course of about 20 minutes. She did all the work. I started a new book. A sonogram follows, either to peek in on the kiddo or to actually measure all her parts. I did the latter because, as I mentioned before, my last sono was in February and that was a while ago. All is well. The kiddo is an overachiever in the heart rate and activity categories. She is also a bit coy and had her head mostly facing my spine. Most of her parts look like random blobs of blobbyness, but all the blobs were appropriately sized and in the right places. We got exactly one shot where my kid looks human. A very cute human. I mean… come on! If you happen to be a pregnant woman of “advanced maternal age” and you also happen to be turning 40 during your pregnancy, do yourself a favor and tell every doctor you see that you are turning 40 at some point before the baby arrives. Being 40 automatically puts you into a new category of testing that does not exist at 39. This will not prevent you from taking any of the “over 40” tests, nor should it. These tests exist to make sure you and your kiddo are healthy. However, this will prevent you from being surprised about a test that you all of a sudden have to do that had not planned for in your schedule.